Discussion in 'General Discussion' started by George Mills, Oct 18, 2018. Does anyone out there have, or know anyone that has any genuine spare PRS Phase iii tuner buttons in GOLD available?! I'm looking to gradually swap out some of the hardware on my 509 from nickel to gold - which just suits the Autumn Sky top/ black 509 pickups so much better (no idea why these were not installed initially!). Ideally I don't want to purchase the entire locking tuner set for the sake of aesthetics, especially as I've only owned the guitar around 6 months. I've seen a few selling the buttons on their own but unfortunately these have already sold.. Please enter at least one valid recipient. While not genuine PRS parts I know Schaller sells the buttons for their locking tuners seperately. 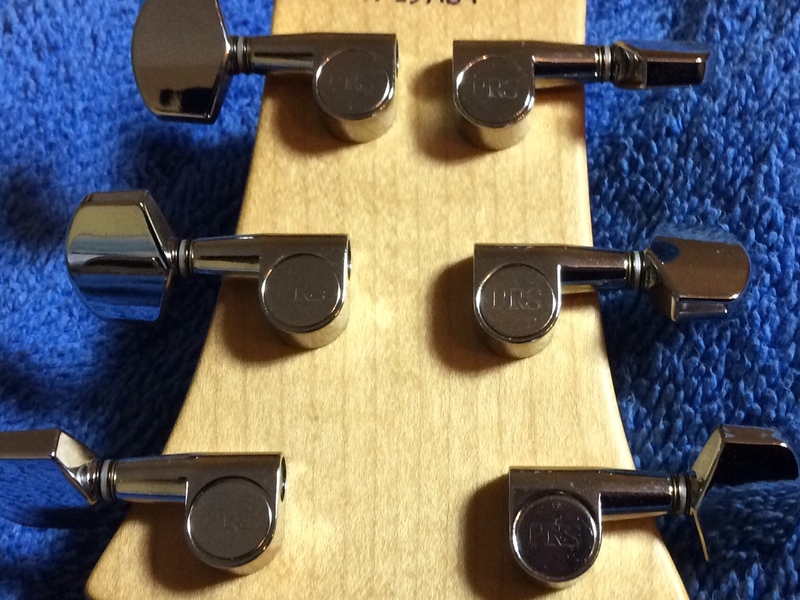 I just can't tell you if P2/P3 tuners have the same shaft diameter, sorry. If you'd like me to I can mount one off of the p2 tuners on my ce24 and compare it to a schaller one (M6 locking tuners), don't have any p3 tuners. Hmm. I think if I'm going to find the genuine ones alone its going to be a lucky one-off online, if somebody was to change their mind and swap them out.. Thanks for the help, parallyze don't worry about it I have a feeling the thread may be slightly different for the phase 2 and 3 buttons, and so, on the machine heads also! I have a feeling the thread may be slightly different for the phase 2 and 3 buttons, and so, on the machine heads also! probably just have a pin on the back and get tightened by the top nut only. Good luck in finding ones that fit! Ahh I see! This doesn't surprise me that you have to use the matching machine heads etc. Send me a PM. I'm on the road on vacation for the next couple of days. I may have a spare set of gold PIII buttons in my parts drawer. I'll check when I get home. The PM will serve as a reminder. George Mills and sergiodeblanc like this. I'm looking for a set as well. Will Phase 2 fit on phase 3? Phase II And Phase III Tuner Parts Are Not Compatible Other Than The Thumb Screws.. It can be added. You will need to drill. Just get the hipshot tuner with the open back, or get a John Mann upgrade. No drilling and both stays in tune for about $60.